The Pacific Islands traditionally belong to Australia’s sphere of influence, but China’s influence in the region has increased spectacularly recently. Australia seeks to counter China’s growing presence by strengthening and extending its economic, diplomatic, security and other ties with the island states. The Pacific Islands (Micronesia, Melanesia, and Polynesia) extend over 303,000 square kilometres of land (80% of which is Papua New Guinea) in an area of 52 million square kilometres of the Pacific Ocean. The region’s islands (of which the 14 independent states are relevant to this analysis) are at a disadvantage in several aspects. Their areas and populations are small, they have few natural resources (minerals in large amounts are only to be found in Papua New Guinea; the leading export items in the other countries are fish, wood, and coconut palm products, among others), are located far from the main economic and commercial centres, and are among the countries most vulnerable to the effects of climate change and worst affected by natural disasters in the world. Owing to its relative proximity, the region is considered by Australia as part of its natural sphere of influence. It is of strategic importance to Australia because it is in the country’s interest that the Pacific is stable in terms of economy, politics and security. Australia has supported Pacific Island countries’ sustainable development through both bilateral and regional programs and has worked closely with them to develop their law and order, border security, and economic management. The region’s most important organisation is the Pacific Islands Forum, which includes Australia as one of its 18 members. An evidence of the significance of the Pacific to Australia is that it has sent troops and police to quell unrest in the region on several occasions: in 1999 to East Timor, in 2003 to the Solomon Islands, and in 2006 again to East Timor and the Solomon Islands as well as Tonga. Australia became the region’s leading power after the islands gained independence from British colonial rule in the 1970s. Building upon the experience of World War II, Australia’s main priority during the Cold War was to prevent a potentially hostile power from establishing a military base in the region, which would pose a threat to Australia. With the end of the Cold War, this threat was over and Australian influence was limited to granting aid to the region’s countries; however, its terms – e.g. that beneficiary states should try to decrease their dependence on Australian aid – created the impression that the territory was essentially a burden for Australia. After the 9/11 terrorist attacks, Australia decided to support the region’s weaker sates more actively in order to avoid their possible collapse, which would potentially allow terrorist and criminal organisations posing a threat to Australia to gain ground in the region. The country, in this spirit, participated (as the mission’s leader and key financer) in the Regional Assistance Mission to Solomon Islands (RAMSI) between 2003 and 2017, which aimed to restore the chaos-struck Solomon Islands into a functional state. In recent years, the Pacific has again appeared in a new light in Australia owing to the significant growth of China’s influence in the region. The government recognised the significance of the situation in 2018, in part likely due to news surfacing in April that year about discussions between Vanuatu and China regarding the establishment of a Chinese military base on the island. The news was discredited by both countries; however, the possibility of a Chinese military base in the region gave rise to concerns in Australia since it would mean a direct military threat to the country. China has been providing financial assistance to the Pacific since 1990. One of its goals is to marginalise Taiwan diplomatically: there has been a rivalry between the two countries in which they expect the island states to establish diplomatic relations (and thereby not recognise the rival party) in exchange for financial assistance. China’s aid to the region began to sharply increase in 2006: it was this year when China organised the first China-Pacific Island Countries Economic Development and Cooperation Forum, where it promised greater support to the eight countries with which it has diplomatic relations (Taiwan has diplomatic ties with six states in the region). Since then, China’s presence in the area has increased spectacularly: Chinese public companies build and restore roads, conference centres, ports and airports, Chinese fishing vessels operate in its waters, a Chinese “floating hospital” ship visits the region’s ports (except for those countries which recognise Taiwan, of course), and Fiji has received a hydrographic and surveillance vessel from China as a gift. Debates are going on all over the world about whether Chinese public loans granted to many developing countries lead to these states having unsustainable debt. This is also true for the Pacific region. Critics say that Chinese aid is not transparent and likely contains unfavourable terms for the affected countries (the agreements are classified, hence the term “likely”). In January 2018, Concetta Fierravanti-Wells, the Australian Minister for International Development at the time made an unusually open remark, saying that China invests in pointless infrastructure developments in the region, which, moreover, lead to unsustainable debts for the affected island states. In mid-2018, former Australian Foreign Minister Julie Bishop also expressed criticism about the increased Chinese activity. Her statement that Australia, as the region’s main development partner, prefers investment that does not make local communities seriously indebted, did not mention China explicitly, but clearly referred to it. Responding to the criticisms, China states that its aid is always “sincere and unselfish” and, before granting loans, strict economic and technical evaluations are conducted to establish the beneficiary’s ability of paying its debt back. There is much uncertainty and misunderstanding surrounding the extent and goals of China’s aid programs in the Pacific. This is partly due to lack of information: China does not publish detailed information about the grants, and neither do the island states in many cases. Some basic facts, thus, have to be pointed out. The assumption that Chinese support provided to the region is growing might seem to be logical due to the increasing Chinese influence, but examining the data suggests otherwise. According to a detailed analysis conducted by Australian think tank Lowy Institute in 2018, between 2011 and 2018 the amount of both the promised and the actually spent Chinese support varied greatly, rather than increasing linearly. The fact that the largest share of the region’s support by far comes from Australia also makes the situation more complex. Between 2011 and 2017, the country provided USD 6.58 bn to the region (no data is available for 2018 yet) compared to China with USD 1.26 bn (including 2018). (Australian and New Zealand aid combined accounts for 55% of support for the region.) China, moreover, promises much more aid than it actually provides: until early 2019 it disbursed only USD 1.26 bn out of 5.88 bn it promised between 2011 and 2018 (Australia pledged USD 6.72 bn between 2011 and 2017 and granted 6.58 bn). In 2017, China promised an exceptionally high amount of aid of USD 4 bn; however, the value of the assistance actually provided in 2017 and 2018 totalled only USD 210 mn. Estimates by the Lowy Institute show that 70% of Chinese aid consists of concessional loans (Australian aid, in contrast, is entirely made up of donations). The effectiveness of the use of Chinese aid is questionable, since, in line with Beijing’s preferences, it is typically used to realise spectacular projects and infrastructure investments which demonstrate China’s regional presence (as opposed to projects financed via Australian and New Zealand support, which on average are one-tenth the size of Chinese projects). In addition to individual countries, China also provides aid to the major regional organisations, the Pacific Islands Forum Secretariat in particular. In order to better assess Chinese aid, it is worth examining them in Vanuatu and Tonga, the two countries where Chinese money plays perhaps the greatest role in the Pacific. The port on Santo Island is one of the central elements of the debate over whether the states in the Pacific are becoming trapped in debt because of China. Many draw a parallel between the port on Santo Island and that of Hambantota in Sri Lanka, which was built by the Sri Lankan state from Chinese credit. Being unable to repay the loan, the country leased the port to a Chinese-owned company for 99 years in 2017 in return for decreasing the credit. The Santo Island port, opened in August 2017, was built by the Chinese Shanghai Construction Group Co. Ltd. Many Australian officers and experts believe that the agreement between the company and Vanuatu is unfavourable for the island state, since China could get hold of the port in case of insolvency, as was the case with the port of Hambantota. In order to prove Vanuatu’s ability to repay the loan and that the agreement does not contain a debt-for-equity swap (that is, China cannot obtain the port), the Foreign Minister of Vanuatu, Ralph Regenvanu published the contract on the construction of the port, concluded with the Chinese EXIM Bank. The published contract indeed does not contain a debt-for-equity swap. Experts say, however, that the contract clearly favours China in case of insolvency. Japan has granted a loan to Vanuatu for a similar port and the discrepancies between the terms of the two credits stand out: the grace period of the Japanese loan is 10 years, while that of the Chinese loan is 5 years; the interest on the Japanese loan is 0.55% as opposed to 2.5% on the Chinese credit; the repayment schedule of the Japanese loan is 40 years, compared to 15 years of the Chinese credit. In an event of default, China can recover the whole amount in one sum, the contract is entirely governed by Chinese laws, and a possible arbitration would take place in the China International Economic and Trade Arbitration Committee (CIETAC). It therefore seems that even if the contract does not contain a debt-for-equity swap, it clearly favours China over Vanuatu. However, it should also be noted that the 30% debt-to-GDP ratio (half of the debt is owed to China, while the other half mainly to the Asian Development Bank) of the island state is not uncommon in the region, and the risk of debt distress is moderate according to an IMF report. Chinese aid may be the most apparent in Tonga in the Pacific region. The island state received two major cheap loans from China (in 2008 and 2010), which were partly used to restore the business quarter of the capital, Nuku’alofa following the riots in 2006. The two loans are worth around USD 160 mn, which is equivalent to 64% of Tonga’s public debt, which, in turn, constitutes 43% of the GDP. It is not clear, in light of this, whether Tonga will be able to repay the loan. The government has been asking China to waive the debt for years in vain. The country would have started to repay the loans in late 2018, but Prime Minister Akilisi Pohiva said the repayment would have been difficult, so he publicly asked the other regional states taking out a Chinese loan to jointly request China to waive their debts. Eventually, in November 2018, Tonga joined the Chinese Belt and Road Initiative and thereby received a five-year extension to the loans’ grace period. Overall, it is appropriate to speak of a debt trap in the case of Tonga, although the country was granted a five-year extension to repay the loan. The claims of a debt trap, however, are unsubstantiated in the case of Vanuatu, along with the other countries of the Pacific region: although, based on the risk ratings by the IMF and the Asian Development Bank, debt distress has increased in the region over the past five years (over 40% of the region’s countries have a high-risk rating), half of the countries worst affected by this issue have not received a Chinese loan (since they have diplomatic ties with Taiwan, they are not eligible anyway), and Chinese loans account for only less than half of the total credit in each of these countries, with the exception of Tonga. Chinese loans (which constitute around 12% of the region’s total debt) have also flowed into countries where debt repayment does not represent a problem. Aside from the unsubstantiated Chinese debt trap claim, however, it is undeniable that China is increasingly present in the Pacific. Australia (as it will be explained below) aims to halt the growing Chinese influence by strengthening and extending its ties with the region – but this effort is complicated by the fact that its relations with the island states are not free from tensions. The island states believe that Australia often patronises them in an arrogant way, reminding them of its great power status and not treating them as equal partners. Therefore, Australian Prime Minister Scott Morrison, who took office in August 2018, made an unfortunate decision when he did not attend the Pacific Islands Forum meeting held just a couple days after his appointment, because he reinforced the regional countries’ feeling that Australia often regards them as important partners only in its rhetoric. This also seems to be supported by the infrequency of leading Australian politicians visiting the region: before Scott Morrison’s visit in January 2019, Australian prime ministers had not visited Vanuatu and Fiji since 1990 and 2006, respectively. However, this has been changing since the “waking up” of the Australian government in 2018. In the first weeks of 2019, in addition to the Prime Minister, the Foreign Minister, the Assistant Minister for the Pacific, the Chief of the Defence Force and the Commissioner of the Australian Federal Police also visited the region. Australia’s attitude towards climate change is also problematic for the Pacific island nations. Climate change is of vital significance to the region’s countries as the sea level rise caused by global warming threatens their very existence and they can hardly protect themselves from the ever more frequent natural disasters induced by climate change. However, the conservative Australian government coalition, in power since 2013, has an ambivalent stance on how much Australia – which has the world’s eleventh largest ecological footprint according to the 2018 data of the Global Footprint Network – should contribute to the global fight against climate change. As a matter of fact, Scott Morrison became prime minister thanks to the fact that his predecessor had become a victim of a coup within his own party because its conservative wing was unwilling to accept that the government would introduce a law that restricted greenhouse gas emissions. Thus, although Australia signed a treaty established at the meeting of the Pacific Islands Forum in autumn 2018 that identified climate change as the number one priority of the Pacific, this probably did not release the doubts of the island nations over Australia’s commitment. During the term of the current Australian government, a major convergence of the parties’ positions is not expected; however, the Australian government has made significant efforts since early 2018 to strengthen and extend its existing relations with the region in other areas. In the 2018-2019 budget, the Australian government allocated record high, AUD 1.3 bn support to the Pacific. The growing significance of the region is reflected by the fact that while this amount is AUD 200 mn more than the previous 1.1 bn, Australia’s total foreign assistance budget remained AUD 4.2 bn. With its increased amount, the Pacific region now accounts for 30% of the foreign aid budget. The supported projects include laying an underwater internet cable connecting the Solomon Islands and Papua New Guinea with Australia, which will be realised by an Australian company through a public grant worth around AUD 137 mn (the entire project costs AUD 170 mn). The Solomon Islands originally agreed with Huawei in 2016 that it would lay a cable which ensures connectivity with Australia; however, Australia informed the island state in 2017 that since it considers Huawei a national security risk because of its alleged connections to the Chinese government, the cable would most likely not be authorised to join the Australian internet network. Australia then proposed that the planned internet cable connecting Papua New Guinea and Australia could be extended to the Solomon Islands and Australia would undertake the majority of costs. The island nation eventually chose Australia instead of Huawei for the project. Australia has “overtaken” China on another occasion as well. Instead of China, the country will finance the upgrade of the Blackrock Peacekeeping and Humanitarian Assistance and Disaster Relief Camp on Fiji, which the Fiji government hopes will become the region’s training centre. The trainings here will be held by the Australian Defence Force, thereby deepening the cooperation with the region’s military forces. The reinforcement of Australia’s regional military position is also served by a plan announced in autumn 2018 that Australia, the US and Papua New Guinea will jointly upgrade the naval base on Papua New Guinea’s Manus Island, which, if necessary, could play a role in US and Australian navy operations and enable the permanent military presence of these two countries. Due to its vital geographical location, the island has played an important role in the defence strategies of the US and Australia since World War II, so it is not surprising that, given China’s growing influence, both countries deem it necessary to involve the base in their efforts to halt the Chinese expansion. Another factor that must have played a role in making this decision was that China supposedly expressed its interest in upgrading another port on Manus Island as well as three other ports in Papua New Guinea. The projects in Fiji and Papua New Guinea are part of the Defence Cooperation Program of the Australian government, which aims to promote Australia’s strategic interests by increasing the defence capacities of the country’s international partners (for example, in the area of illegal fishing or the fight against international crime) and establishing close personal relations with regional security partners. Since the program is beneficial to all stakeholders, its perception in the Pacific is generally positive. Within the program, Australia will provide the region’s 13 countries with 21 patrol boats between 2018 and 2023 as well as with staff and maintenance for 30 years. Another plan, announced at the Asia-Pacific Economic Cooperation (APEC) summit in November 2018 by Australia, Papua New Guinea, Japan, New Zealand and the US, focuses on infrastructural development in the region, and as part of this, these countries will work together to provide electricity to 70% of Papua New Guinea’s population (the current rate is around 13%). Australia, Japan and the US also announced at the APEC summit that they had signed a Memorandum of Understanding to work together to deliver “principles-based and sustainable” infrastructure development in the Indo-Pacific – the wording clearly implies criticism of the Belt and Road Initiative. Creating a dedicated branch dealing with the Pacific within the Department of Foreign Affairs. In addition, all citizens of the region’s countries will be gradually granted access to the Pacific Labour Scheme, which was launched in mid-2018 to allow certain Pacific states’ citizens to work in Australia’s rural areas, and the limit on the number of participants will be abolished. Soft power is an important field of the rivalry between China and Australia, and the latter, due to its traditional relations with the region, has an advantage over China in this respect, which it can further enhance through a well-developed strategy. Some analysts point out that as part of these efforts, it would be especially important to bring back ABC Radio Australia’s service in the Pacific, which was shut down in 2017 – all the more so because the publicly owned China Radio International took over some of the unused frequencies since then. Australia has, for a long time, taken it for granted that the Pacific belongs to its sphere of influence. This situation has fundamentally changed over the past years. China’s growing presence in the region has encouraged Australia to take steps towards increasing its own influence. Besides financial support, it wishes to build stronger ties with the region in many other areas (for example, the cooperation of security forces and sport). It is worth noting that the US is also increasingly concerned about the growing Chinese influence in the Pacific, as demonstrated by a report on the assessment of global threats, issued by US intelligence services in late January 2019. The report says that China is trying to gain the favour of numerous regional countries through bribes, infrastructural and other investments, as well as diplomatic relations. New Zealand, the region’s other leading power besides Australia, also shares the concerns of Australia and the US, therefore the New Zealand government announced similar measures to those of Australia in 2018 to counterbalance Chinese influence. Australia and New Zealand together stand a good chance of containing China’s influence in the region; however, it is too early to state anything since the rivalry in the Pacific Islands might not even have really started yet. BRANT, Philippa: Regional Snapshot. In: Chinese Aid in the Pacific, Lowy Institute for International Policy, Feb. 2015, http://www.lowyinstitute.org/sites/default/files/chinese_aid_in_the_pacific_regional_snapshot_0.pdf, p. 1. BROWN, Peter: Australian Influence in the South Pacific. In: Australian Defence College, Oct. 2012, http://www.defence.gov.au/ADC/Publications/Commanders/2012/07_Brown%20SAP%20Final%20PDF.pdf, p. 3. Vanuatu 2018 Article IV Consultation—Press Release and Staff Report. In: IMF, Apr. 2018, https://www.imf.org/en/Publications/CR/Issues/2018/04/26/Vanuatu-2018-Article-IV-Consultation-Press-Release-and-Staff-Report-45821, p. 9. 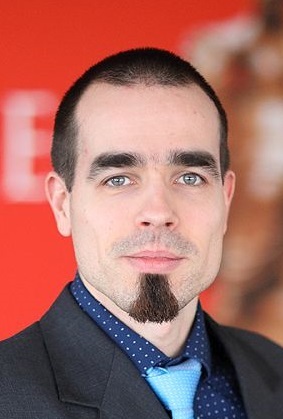 Adam Csenger completed an undergraduate course in International Communications at the Faculty of Foreign Trade, Budapest Business School in 2004. He obtained a master’s degree in International Relations at Macquarie University (Australia) in 2015. His area of research is Australia’s foreign policy, particularly its relationship with Southeast Asia and China.